A wreath on the door is a wonderful way to welcome the autumn season. 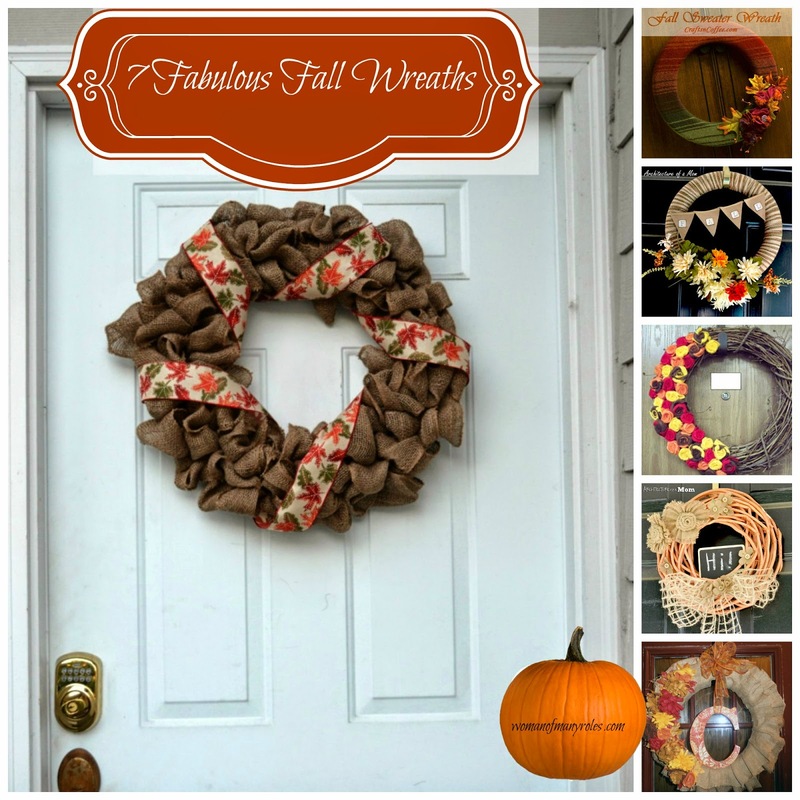 I found 7 fabulous examples of DIY Fall Wreaths to share with you. Each one is as lovely as the next. 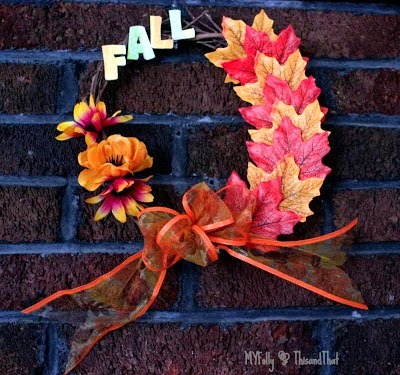 A simple fall wreath with fall colors is a great way to welcome the changing seasons and guests. 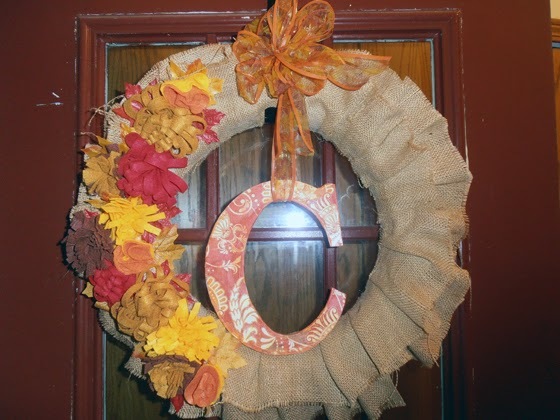 I cannot resist burlap so it should come as no surprise that I adore This Fall Wreath. The neutral colors of this wreath combined with the burlap flowers make me squeal with delight for fall! 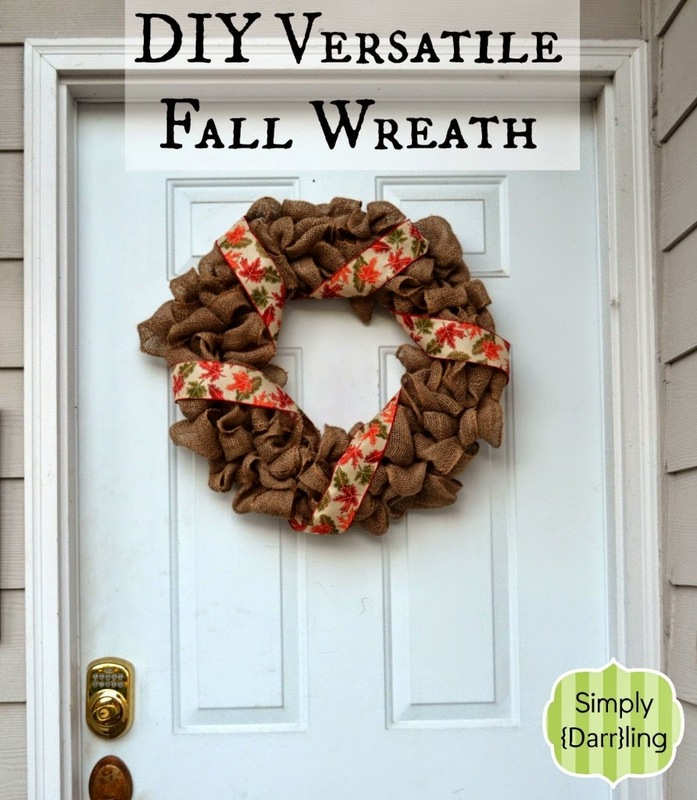 I love this versatile fall wreath. It is elegant and lovely. It would be easy enough to change out the ribbon with each season for a year round wreath. If you need a pop of color to welcome the season and guests, this Wreath for Fall will appeal to you. This floral fall felt wreath is fantastic with the pop of colors, but the price of DIY for Under $6 makes it even more better. If you have an old sweater lurking in a closet, you can make a gorgeous fall sweater wreath. I have a feeling this wreath will make you the envy of the neighborhood. Do you have a favorite wreath? Tell me about it to help me decide which one of these I should make this autumn. Beautiful, I am featuring this collection of this week’s Hearth and Soul blog hop. pinning. These wreaths are all pretty and would look welcoming on a front door. None are too elaborate — just simple and classic — my favorite kind. That sweater wreath is such a neat idea. Thanks for the fall wreath roundup. 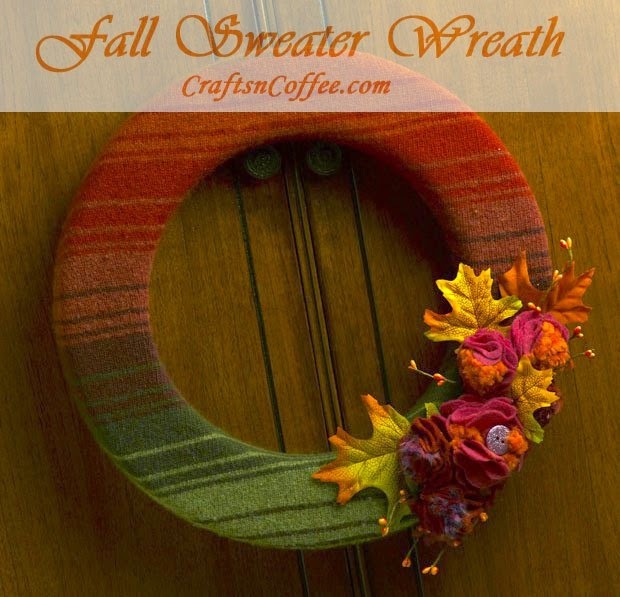 Thank you so much for including the Fall Sweater Wreath from CraftsnCoffee.com in your round up. I hope you’re having a beautiful fall! Great roundup! Thanks for including my fall wreath. Have a great day!